Understanding Microsoft Word 2016 Interface | Tutorials Tree: Learn Photoshop, Excel, Word, Powerpoint and Wordpress for free online. 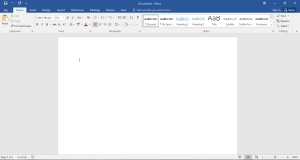 In the Microsoft Office Word 2016, We have all useful options needed for significant editing and there are some added features too. 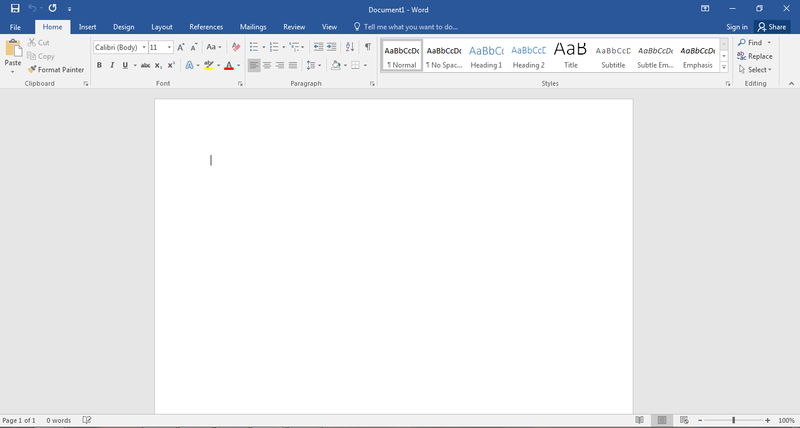 When you open any blank document or an existing document in Word, you will find the screen as follows with different toolbars and ribbons. 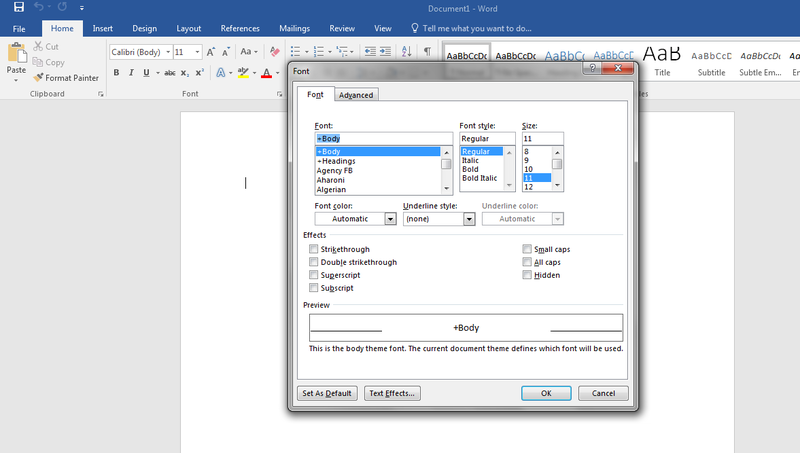 Word 2016 contains a tabbed Ribbon on the top of the window. It contains different tabs instead of menus traditionally present in previous versions. The topmost tab contains the title of the document. You can see the options to save, undo and redo on the left-hand side of this tab. The right-hand side contains minimize, maximize and close buttons. On the top right corner of the screen, there is an arrow that gives you the ribbon viewing options. In case you want to hide the ribbon for better readability and more screen space, there is an option to hide the ribbon. 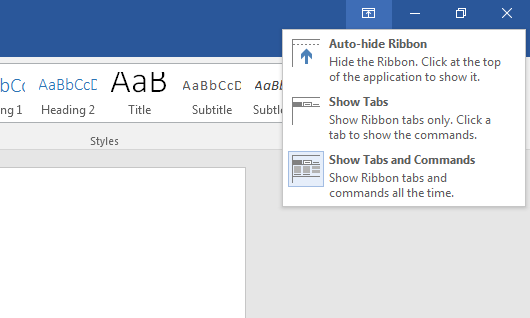 Auto-hide Ribbon: You can select Auto-hide Ribbon to via the ribbon when needed. Show Tabs: If you want to see only the command group heads but not the options, you can select this. Show Tabs and Commands: This is the default view with all the commands under the tabs. 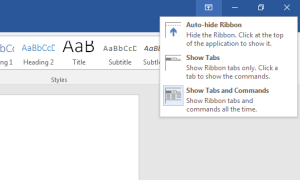 The second part of the ribbon contains different tabs embedded together like File, Home, Insert, Design etc. Each of these tabs contains all the related commands grouped together. 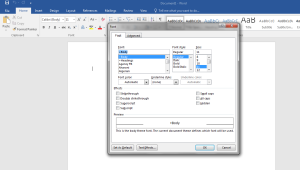 This makes the work easy and provides the writer better flexibility and accessibility. You can go find all the related options in each of these group heads. There is a small arrow at the bottom corner of some groups. You can click on this arrow and you can get more options.